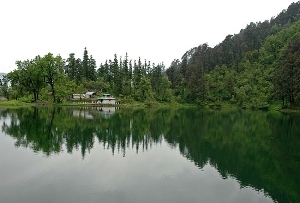 Sahastra Tal is one of the most beautiful lakes in Uttarakhand, tucked away in the midst the beautiful Kumaoun Himalayas. 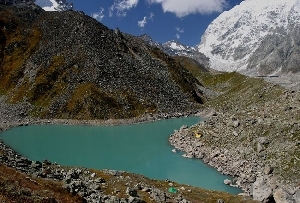 Located on the western end of the beautiful Khatling glacier, the Sahastra Tal of Uttarakhand allures a number of trekkers and adventure freaks. 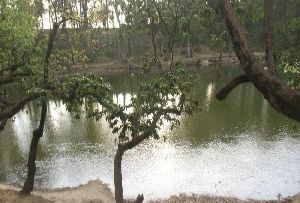 A few kilometers from Kalyani, the journey to Sahastra Tal is equally exciting and wonderful. 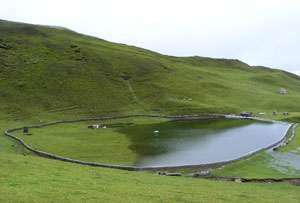 Trek amidst the dense woodlands, villages, valley of flowers and rippling streams to reach Sahastra Tal in Uttarakhand. 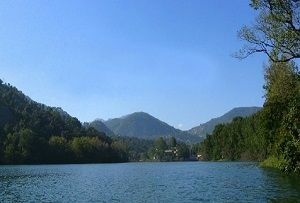 Quite near to the valley of Bhilanga, you can get an excellent panoramic view of the Himalayan peaks and glaciers. 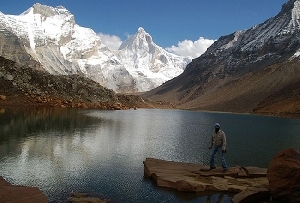 Watch the magnificent glaciers of Jogin group, Kirti Stambh and Meru glacier. 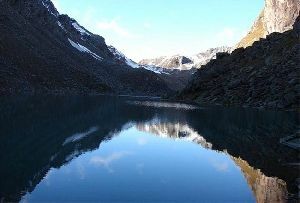 The crystal blue lake reflects the snowy Himalayas and the surrounding greenery in its placid waters. Spend your idle moments soaking in the beauties of nature during your trip to the blue Sahastra Tal amidst the greenery all around. 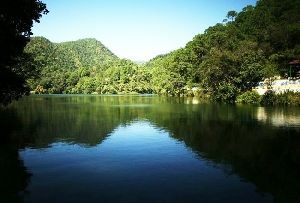 Far away from the crowded plains, Sahastra Tal is a paradise and an idyllic serene retreat. 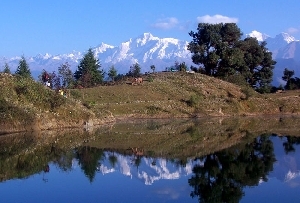 One of the famous trekking spots in Uttarakhand, it allures the trekkers from all over the world.